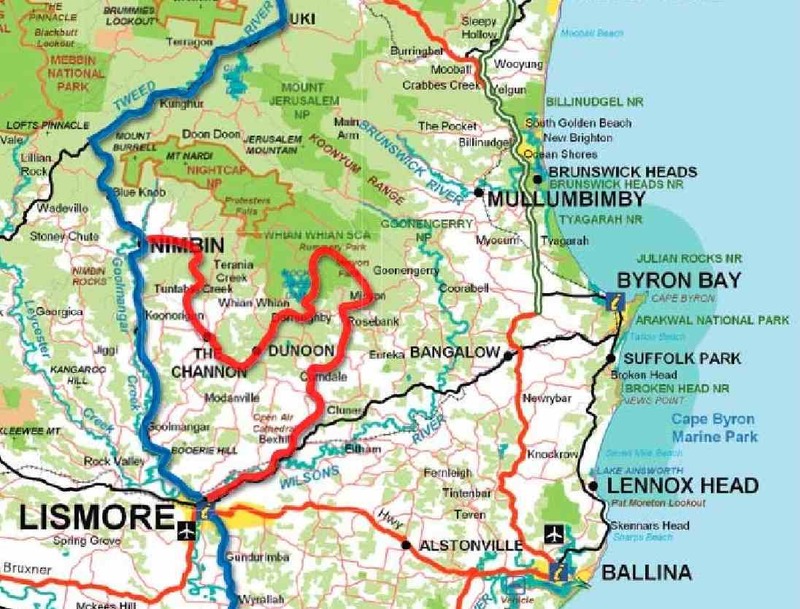 The whole Northern Rivers region and especially the Byron Bay Hinterland is well worth exploring and if you can take a week or 2 and just lose yourself in the area, by all means do so. From unspoilt natural rainforest to lush green rolling hills with some of the best farmland in Australia, there is something for everyone. There is a distinct temperate feel to the area, although the sub-tropical influence can be seen everywhere, with flora thriving and growing at an incredible rate which would astound folk from the 'old country'. Come and see for yourself..